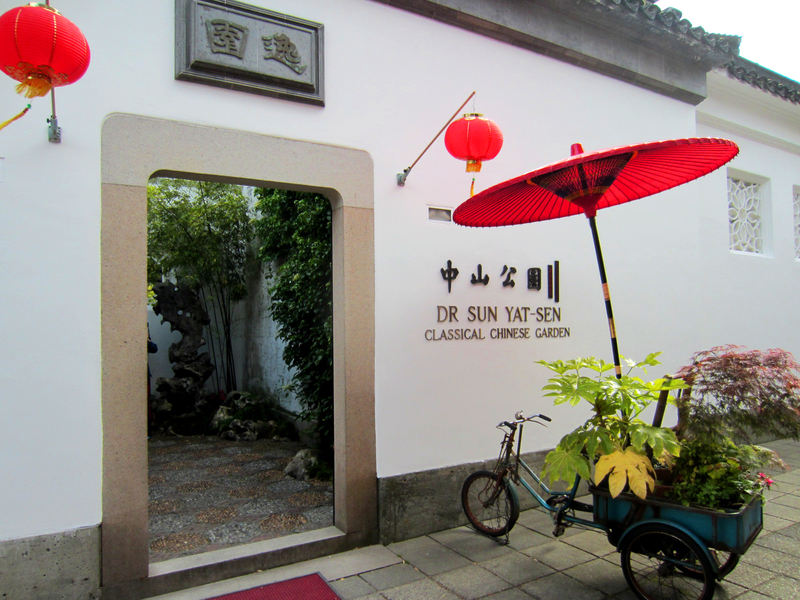 The Dr. Sun Yat-Sen Classical Chinese Garden is an unexpected Eastern oasis hidden behind white plaster walls in the heart of Downtown Vancouver’s Chinatown. 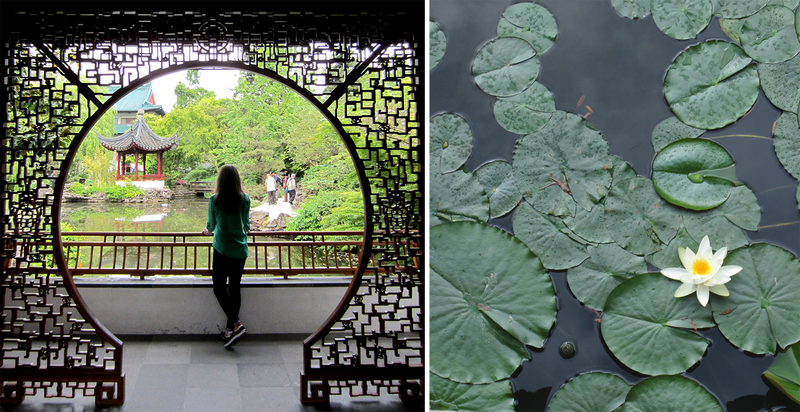 A visit to the Garden will transport you back to 15th century China for a look inside the classical garden home of a Ming Dynasty scholar-official and his family. What makes this place unique is that it’s the first of its kind built outside of China, and was constructed using traditional methods and materials (more on that below). The Garden is filled with symbolism, harmoniously weaving together light and dark colors and soft and hard elements, to create the perfect balance of yin and yang. 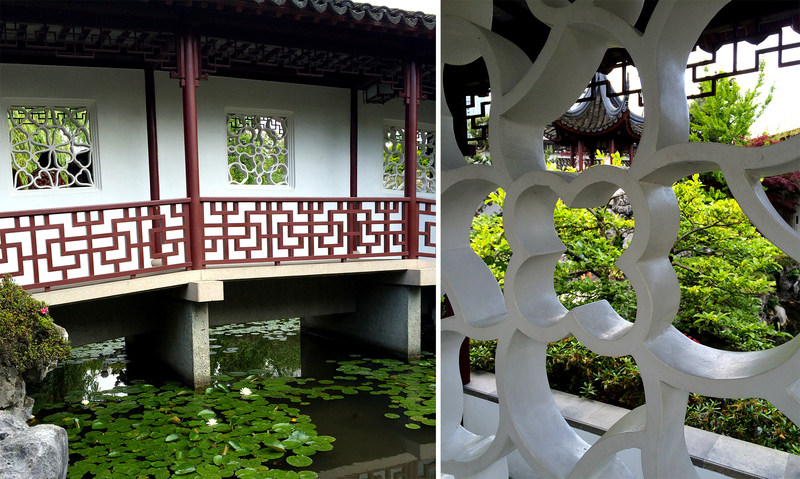 Every detail is deliberate, from the hand-laid pebbles in the courtyard to the overhanging drip tiles that keep walkways dry, creating a curtain of beaded water when it rains and the ting at the Garden’s focal point, surrounded by a water lily-covered pond. It would be easy to forget your urban surroundings if it wasn’t for the tops of the glass skyscrapers peeking out from behind the trees. 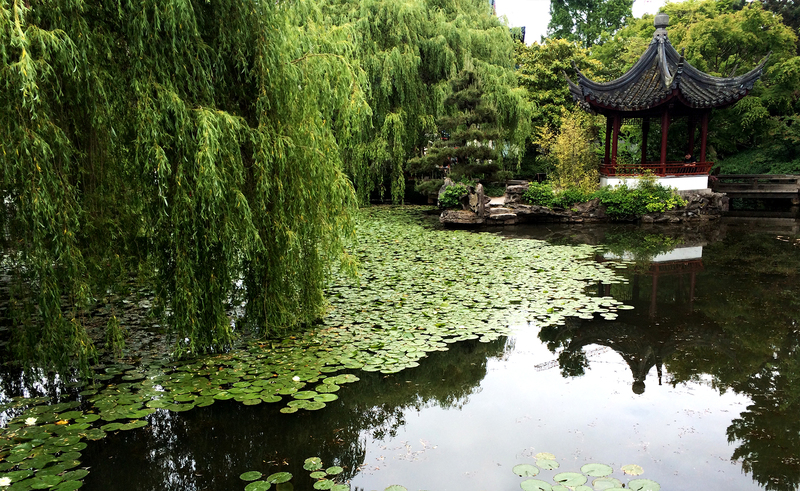 As a bonus, the Garden shares a pond with the free Dr. Sun Yat-Sen Park next door. 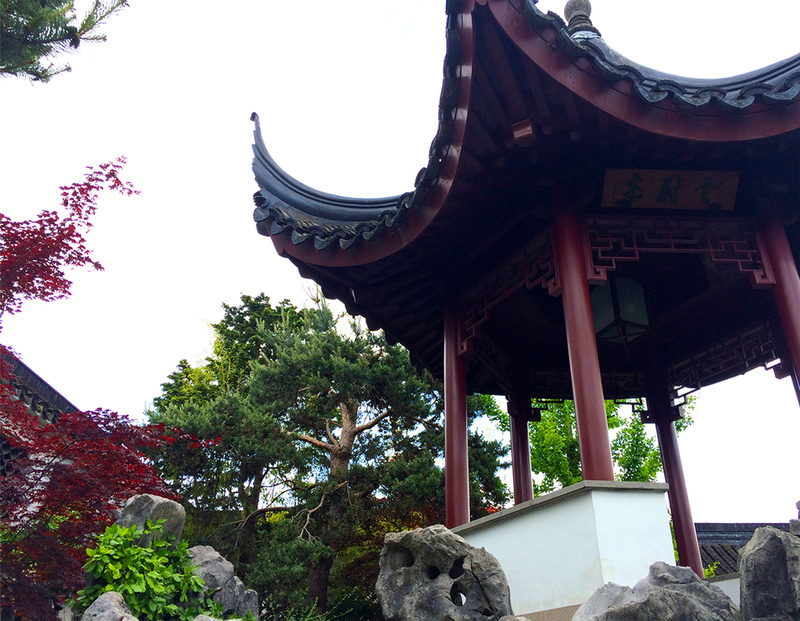 Admission to the Garden is a little on the high side considering it was a bit smaller than other Chinese gardens I’ve visited, but see it in combination with the adjacent public park to round out your experience. Keep an eye out for the sign in the park that outlines some interesting differences between the two, which you can also read here.